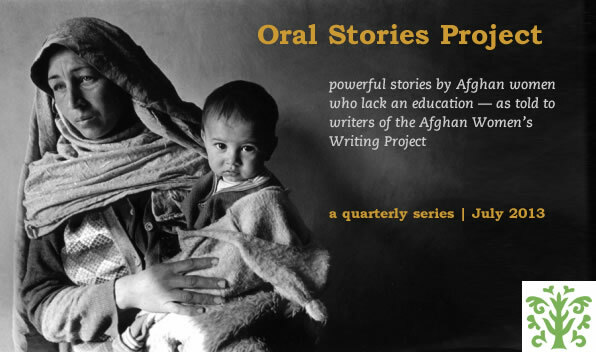 Editor’s note: Four young women were interviewed here about their struggles and successes in achieving an education in Afghanistan. I graduated in economics at a university in Herat even though my parents did not want me to continue beyond high school. They thought girls should get married after high school, not get a higher education. My brothers defended my rights. “It doesn’t matter if you are a man or a woman,” they said. My father seemed persuaded but my problems were not yet solved. My parents said I must also help support the family; they hoped I would be too tired to go to university. But I learned to sew clothes and every day after classes I sewed for other people to earn money. Now I have finished my education, I have a good job at an NGO, and I have a good life, but women in Afghanistan still suffer to get an education. They have to wear a burqa to get to the university or to work. Many girls are banned from all education; some can study only until grade six. In places where there are security problems, women can be kidnapped if they go to school. Many organizations claim to defend women’s rights in Afghanistan, but often their efforts are only symbolic. They should help families who cannot afford to send girls to school and should help graduates find jobs. When there are fewer economic problems, there will be less family violence. I finished school at Abul Qasem e Ferdowsi in first position. Now I am a student in the Faculty of Science at Kabul University. But if my family did not love and trust me, it would not have been possible to continue beyond first grade. Girls face many barriers to education. A major problem is the hurtful needling by boys. We hear very bad speech from the boys at school. Another barrier is the double standard for boys and girls; boys are considered worthy of an education but girls are not. A further problem is security and violence. It is often unsafe for girls to go to school. Families must encourage education for girls. If women are not educated, 50 percent of our society can’t work and our economy will get worse. My life and the life of a girl who stays home are very different. When I compare myself with an uneducated girl, I want to improve myself even more. I want to work for change in Afghanistan. I live in a liberal family that supports knowledge for women. I completed twelve years of basic education in Herat and I have now graduated from psychology at Ashraq private university. If I hadn’t gone to school, I could not plan my life, or even separate good from bad. The Quran says that demand for knowledge is a thesis for every woman and man. This doesn’t mean that men or women should have to battle for knowledge or education. In Afghanistan, however, there is a two-sided standard where boys are preferred over girls, and there is a lot of violence against women. This culture blocks education for women. If we have laws, in the future all girls can be educated. We pray for it. I am a student in the Faculty of Science at Kabul University. It was through my family’s encouragement that I got to this level of education. If all families did the same for their daughters, Afghanistan would have fewer women without education and with so many problems in their lives. If I wasn’t educated, other people—especially educated people with jobs—would not listen to me. But did I see discrimination in the way boys and girls are taught? I will tell the truth: Yes. Our Islamic Studies teachers discriminated in their speech; they spoke against women and created bad examples of women. For families living in the villages, educating girls is an even greater challenge. Here security is a problem and families cannot let their daughters outside to get to school. It is the government’s job to bring security. Women are part of this country, just like men. If we don’t educate our people, Afghanistan will be left behind. We must encourage everyone to continue with their lessons. Thank you to these women for sharing their stories. I especially appreciated reading how Mariam’s brothers came to her defense. Too often I’ve read stories of brothers undermining or hurting their sisters. I am so glad that wasn’t the case here. This is wise advice and I hope that others will understand this and education for all will be encouraged. Thank you for telling your stories with so much detail. Your stories both make me sad and give me hope. They make me feel sad (and mad) because of all that you and other girls had to go through to get your education. They fill me with hope because you surmounted the obstacles and kept on. You will be an inspiration to other girls and women, and that is how the culture will change. Bravo for your families that encouraged you and Bravo for you. Onward and upward. I did not mean to skip you. Everything I said above to Mariam, Tamana M, and Tamana G, I meant for you too. You are the hope and the future of Aghanistan. Bravo for you and your family.